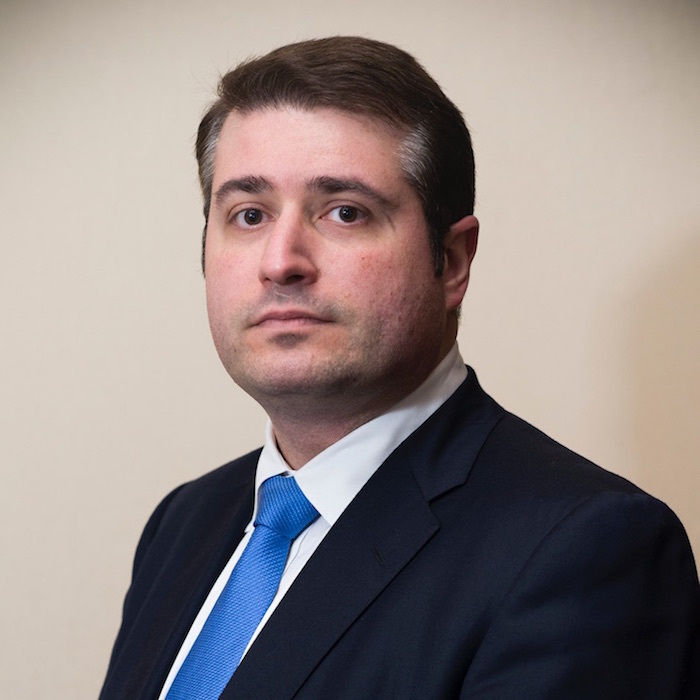 Igor Jablokov, Pryon’s founder and CEO. Pryon Inc., an enterprise artificial intelligence (AI) and natural language processing (NLP) startup, today announced it is coming out of stealth mode. Driven by the team that designed and built the core technologies behind Amazon Alexa, IBM Watson, and other industry-leading AI platforms, Pryon is creating an Augmented Intelligence solution for the enterprise that combines the strengths of people and machines. Pryon is a portfolio company in Engage, an independent, early-stage venture fund and growth program that gives entrepreneurs what they need most — customers and market access. Engage Ventures’ founding partners contributing capital, expertise, time and resources include AT&T, Chick-fil-A, Cox Enterprises, Delta Air Lines, Georgia-Pacific, Georgia Power Foundation, Inc., The Goldman Sachs Group, Inc., Intercontinental Exchange (ICE), Invesco Ltd., Tech Square Ventures, The Home Depot, and UPS. 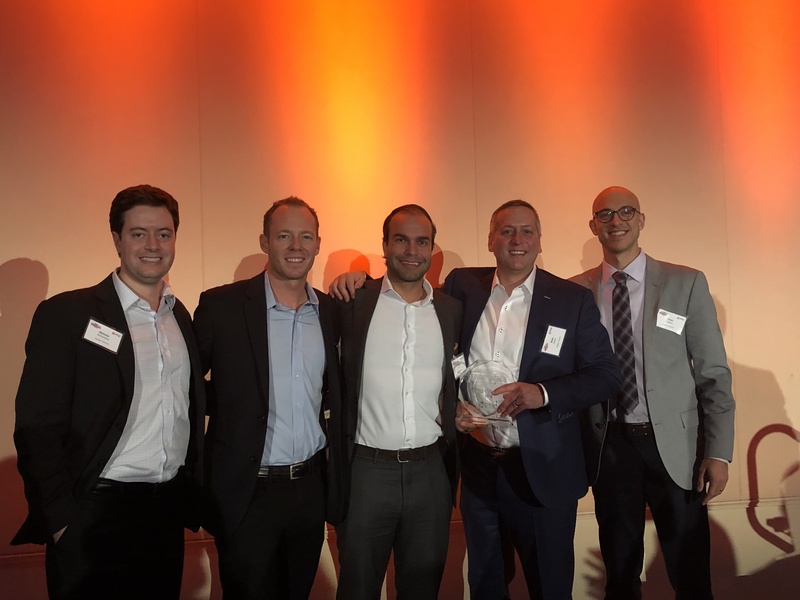 Pryon is leveraging its experience in machine learning (ML) to create an enterprise solution that goes far beyond today’s helpful, but limited bots, robotic process automation (RPA) tools, and voice assistants. The company’s augmented intelligence platform enables and supports a secure, natural language, and voice-based interactive agent for employees. This agent works across numerous devices, improves worker productivity, optimizes performance, increases engagement, and becomes more intelligent. In the most recent Fortune survey of 500 CEOs, 81percent cited “artificial intelligence and machine learning” as either “very important” or “extremely important” to the future of their companies, up from just 54 percent in 2016. Pryon is already engaged with several Fortune 500 companies and has proofs of concepts delivering value at the world’s top communications, financial services, and logistics companies. The company’s near-term goal is to lead the Augmented Intelligence market, which is currently valued at $3.5 billion. Taking the AI market to the next phase of Augmented Intelligence is possible because of Pryon’s seed round funding of $4.5M. Key investors include Greycroft Partners, Two Sigma Ventures, Revolution’s Rise of the Rest Seed Fund, BootstrapLabs, and Engage Ventures. Veteran entrepreneur and ultramarathoner spent more than a decade leading venture capital-backed startups around the world. 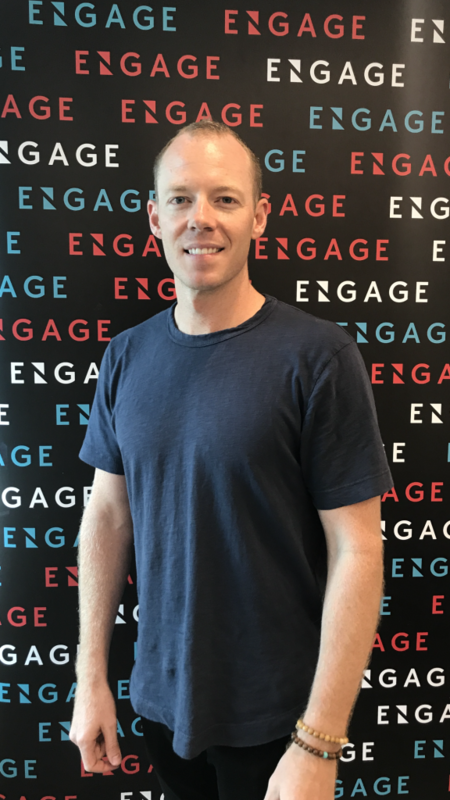 Engage, the strategic grouping of 11 major corporations in an independent venture fund and platform,announced today that Daley Ervin, a seasoned entrepreneur and executive, has joined as an entrepreneur-in-residence (EIR). Ervin, who is Engage’s first named EIR, will focus on deepening corporate partner relationships and assisting portfolio founders in partnership development, go-to-market refinement, and the issues surrounding high-growth and scale. Ervin has more than 10 years leading four venture capital-backed startups on three continents that raised a collective $4.6 billion. Most recently, he was Vice President of Business Development and Strategy for Amazon-backed Nucleus in New York. Prior to that, he was the General Manager and Head of North American Operations for Student.com, launched international offices for YPlan, and was part of the International Expansion Team at Airbnb. He earned his bachelor’s degree in business and communication from Arizona State University. Engage is a venture fund and growth platformthat gives entrepreneurs what they need most — customers and market access. Engage corporate partners contributing capital, expertise, time, and resources include AT&T, Chick-fil-A, Cox Enterprises, Delta Air Lines, Georgia Tech, Georgia-Pacific, Georgia Power Foundation, Inc., The Goldman Sachs Group, Inc., Intercontinental Exchange (ICE), Invesco Ltd., Tech Square Ventures, The Home Depot and UPS. These corporate partners, along with the Georgia Institute of Technology’s Advanced Technology Development Center (ATDC) and Tech Square Ventures, provide tools, hands-on support and resources.Engage is headquartered in Georgia Tech’s Technology Square. For more information, visit engage.vc. This largest group of major corporations in a strategic venture fund helps startups access customers and markets. The Goldman Sachs Group has joined Engage, a venture fund and growth accelerator primarily focused on investing in early stage companies. The fund’s mission is to provide talented entrepreneurs with access to capital, customers, and distribution channels through its accelerator and corporate partnerships. Engage’s investors include leading public and private companies that have provided capital to the fund, and senior leaders from these companies sit on its board of directors, which Dave Dase, head of Goldman Sachs’ Investment Banking Division’s Southeast Region, will join. Goldman Sachs joins the 10 founding companies investing capital, expertise, time, and resources in support of Engage, including AT&T, Chick-fil-A, Cox Enterprises, Delta Air Lines, Georgia-Pacific, Georgia Power Foundation Inc., Intercontinental Exchange (ICE), Invesco Ltd., The Home Depot, and UPS. Invest Georgia has also joined the fund since it was first announced last year. The fund is managed by Tech Square Ventures. What makes Engage unique is the interaction of global companies with the startup ecosystem to help entrepreneurs build companies that will transform their markets. Rather than filling the specific needs of a single large company, Engage startups benefit from the combined perspective of all the member companies. 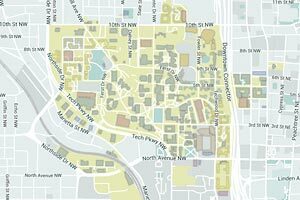 Engage is based in Technology Square and provides programming and support in partnership with Georgia Tech’s Advanced Technology Development Center (ATDC). 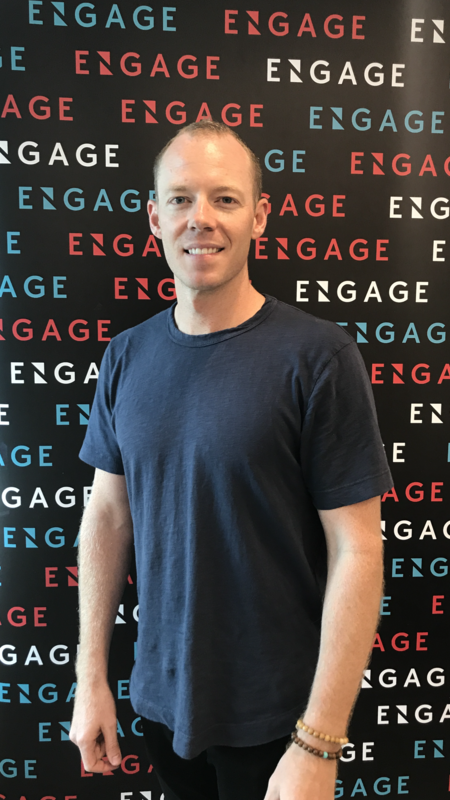 Engage recently announced an impressive group of startups selected for investment and participation in the Spring 2018 go-to-market growth program including Dev/Con, Homee, Intrinio, Pryon, Stord, ThingTech, and Verady. Leaders from these companies include serial entrepreneurs, first-time founders and founders listed on Forbes’ “30 Under 30.” The technologies they are pioneering span from autonomous flight, to artificial intelligence (AI) and blockchain. 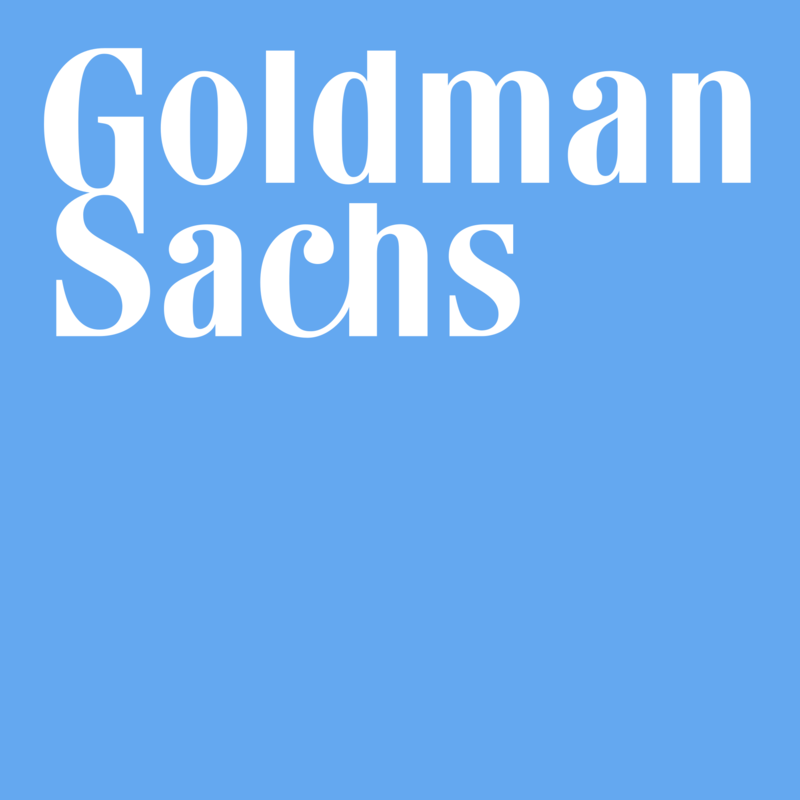 The Goldman Sachs Group is a leading global investment banking, securities and investment management firm that provides a wide range of financial services to a substantial and diversified client base that includes corporations, financial institutions, governments and individuals. Founded in 1869, the firm is headquartered in New York and maintains offices in all major financial centers around the world. To learn more, visit goldmansachs.com. Engage is a venture fund and growth program that gives entrepreneurs what they need most—customers and market access. Engage corporate partners contributing capital, expertise, time and resources include AT&T, Chick-fil-A, Cox Enterprises, Delta Air Lines, Georgia Tech, Georgia-Pacific, Georgia Power Foundation, Inc., The Goldman Sachs Group, Inc., Intercontinental Exchange (ICE), Invesco Ltd., Tech Square Ventures, The Home Depot and UPS. These corporate partners, along with the Georgia Institute of Technology’s Advanced Technology Development Center (ATDC) and Tech Square Ventures, provide tools, hands-on support, and resources that help companies develop go-to-market strategies, open doors faster, and transform strategies into action. Engage is eadquartered in Georgia Tech’s Technology Square. For more information, visit engage.vc. Eight additional technology startups will go through an early stage venture fund created by Georgia Tech and 10 leading global corporations. The Engage Ventures growth program differs from other accelerators in that it targets later stage companies and helps them develop and execute go-to-market strategies. 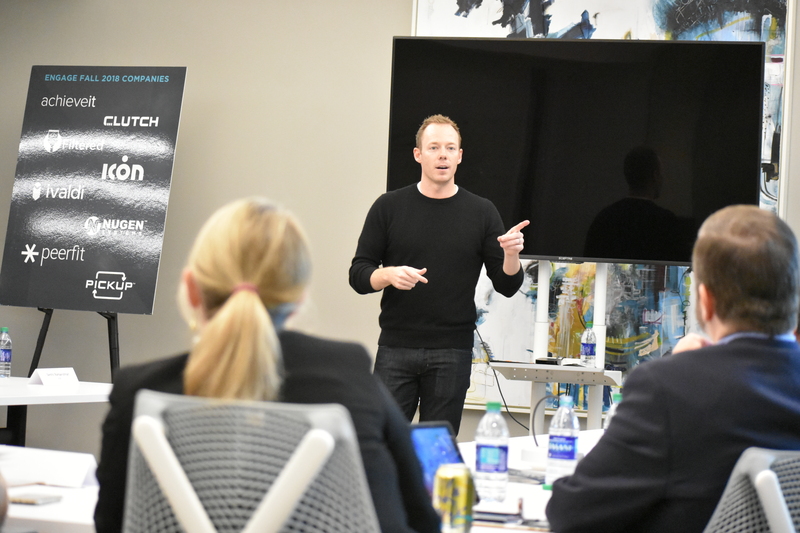 The three-month program brings the startups to Georgia Tech’s Technology Square. 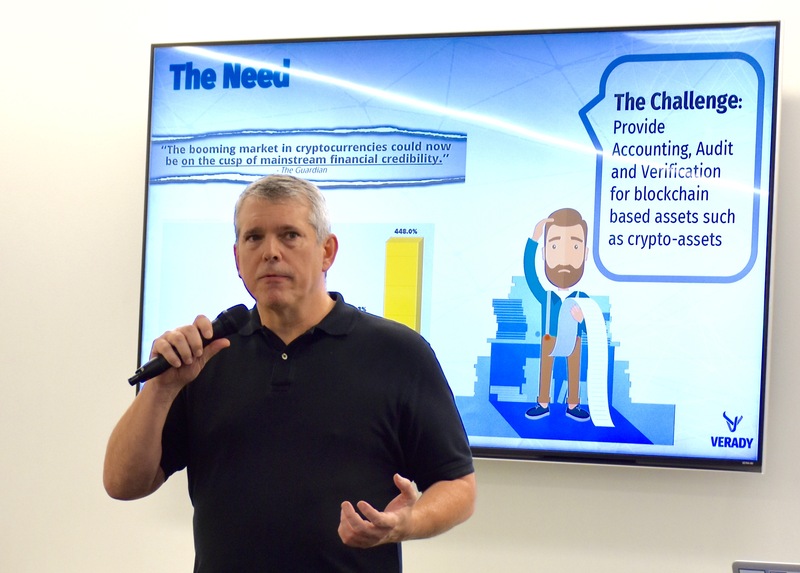 Companies in the spring cohort are pioneering technologies spanning from autonomous flight to artificial intelligence to blockchain, Olson said. To date, this group of companies join Engage with average annual revenue of $1 million and an average of more than $3.5 million in venture funding. Half of the startups have Georgia Tech connections. 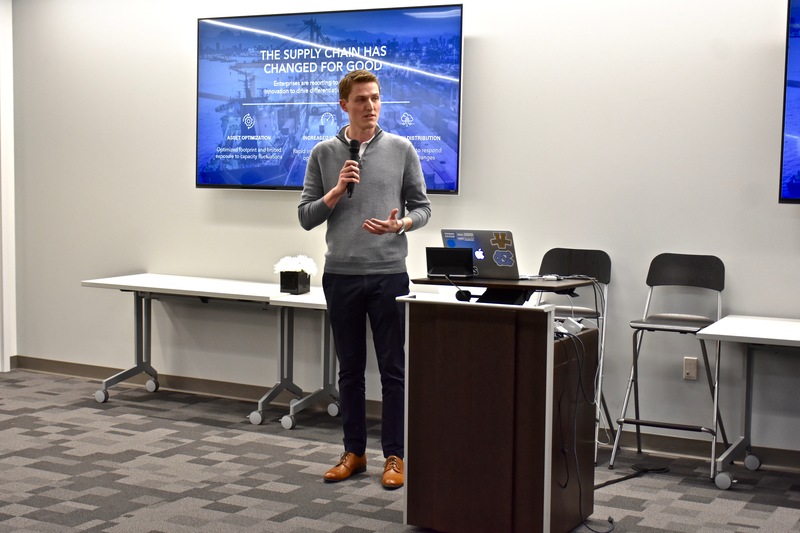 Three are current portfolio companies in Tech’s Advanced Technology Development Center (ATDC) and a fourth participated in CREATE-X, a series of entrepreneurship programs for undergraduate students. Dev/Con: The cyber security company works with media and agencies to detect and prevent advertising fraud. The company is part of the ATDC Signature portfolio. Homee: The company offers an on-demand, home servicing app that provides instant access to handymen, electrical, HVAC, and plumbing providers. Intriono: A FinTech marketplace with access to more than 200 financial data feeds that cover 350,000 global securities. 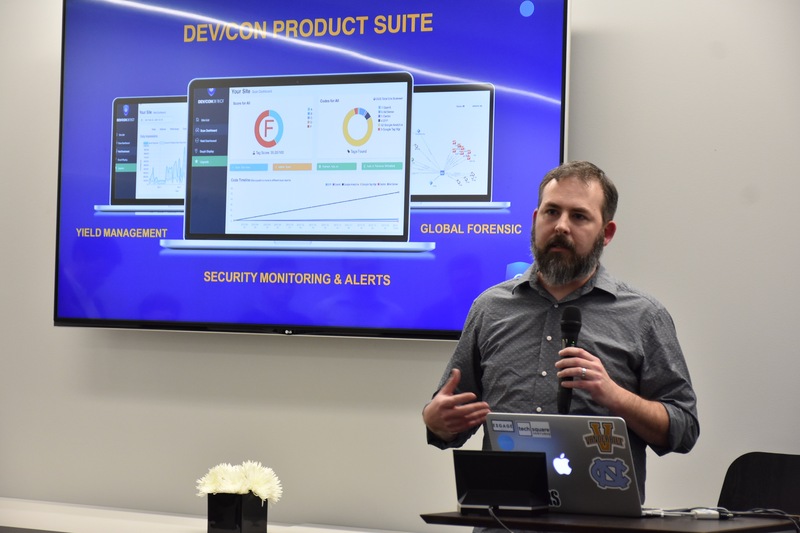 PRYON: This company developed an AI platform with the accuracy and security features necessary for enterprise applications. STORD: A real-time global warehousing network that connects independent, third-party warehouses via an enterprise software platform to drive inventory efficiency. This company participated in Georgia Tech’s CREATE-X. 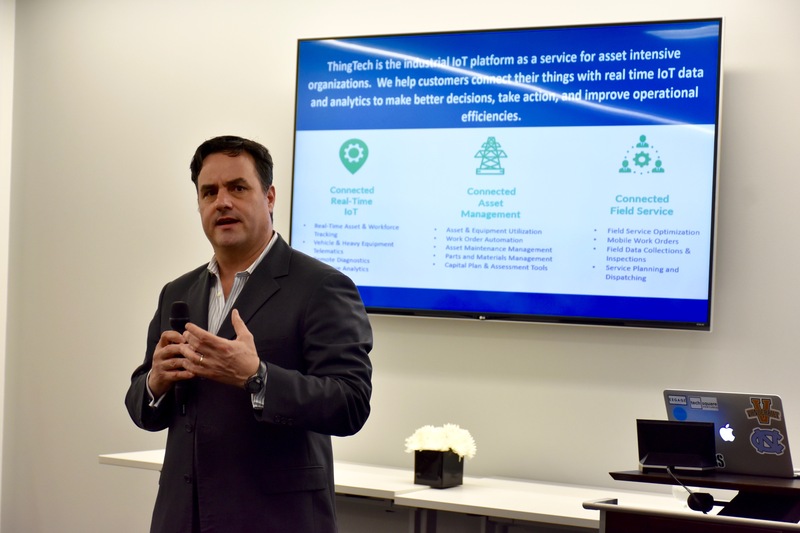 ThingTech: An IoT service platform that connect assets, fleets, heavy equipment, sensors, machines and mobile workforces in real-time. The company is part of the ATDC Signature portfolio. Verady: This company combines blockchain and industry thought leadership to bring accounting and audit technology to cryptocurrencies. The company is part of the ATDC Accelerate portfolio. The startups are the second cohort to go through the program. The first group completed the program in the fall. 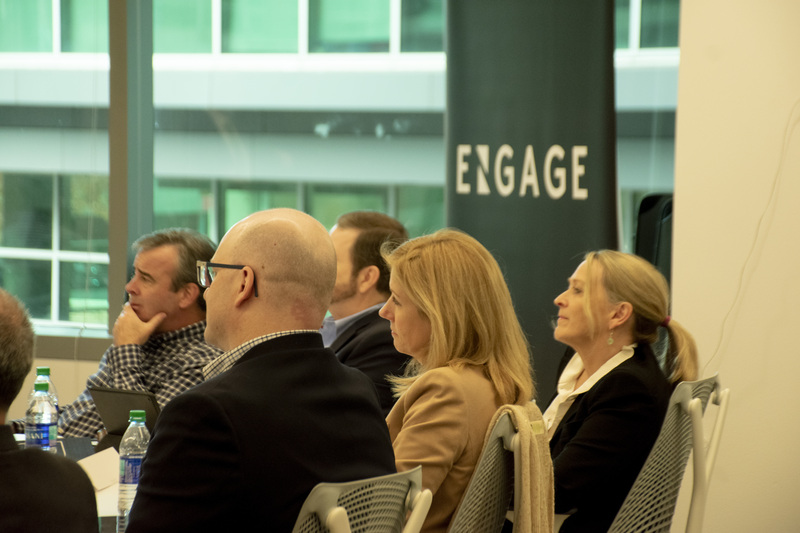 The cohort builds on the success of Engage’s fall 2017 efforts, which are intended to provide a world-class program for high-potential startups, said Martin L. Flanagan, president and CEO of Invesco and chairman of Engage. “In a short period of time, the fall cohort’s activity led to 24 signed contracts between the startups and our corporate partners and $18 million in closed financings. On average, the program’s startups from the fall cohort are projected to add an additional $400,000 in revenue in 2018. Engage Ventures is the largest-ever strategic grouping of major corporations in an independent venture firm. The 10 founding companies contributing capital, expertise, time and resources in support of Engage include AT&T, Chick-fil-A, Cox Enterprises, Delta Air Lines, Georgia-Pacific, Georgia Power Foundation Inc., Intercontinental Exchange (ICE), Invesco Ltd., The Home Depot and UPS. Executives from these firms mentor companies receiving financial support from the venture fund. The fund is managed by Tech Square Ventures, which is led by managing partner Blake Patton. Engage offers programming and other services through a contract with ATDC, which was established at Georgia Tech by Georgia lawmakers in 1980 to launch and build technology companies. 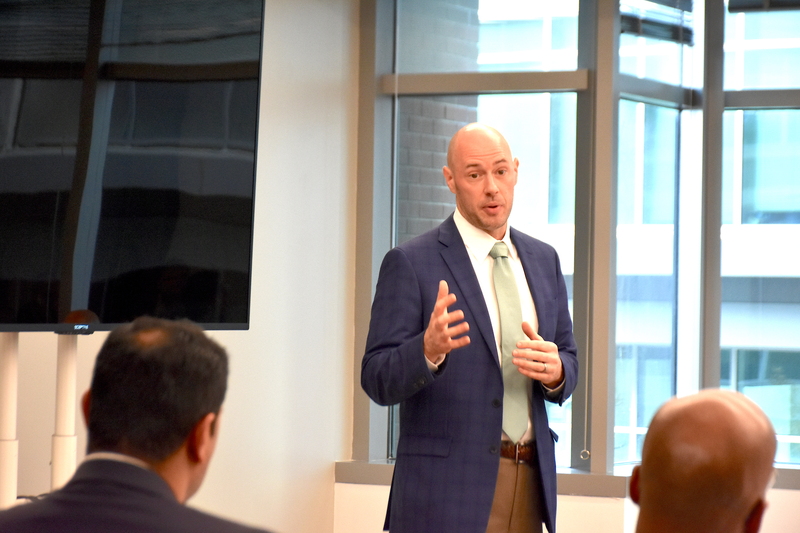 “This initiative is producing stellar results by leveraging Georgia Tech’s startup expertise through programs such as ATDC,” said Chris Downing, vice president and director of the Enterprise Innovation Institute (EI2). The unit is Tech’s economic development arm and is comprised of a dozen programs, including ATDC and Engage.